According to his spin merchants, Lansman is defending the youthful activists of Momentum against their Trotskyist elders! 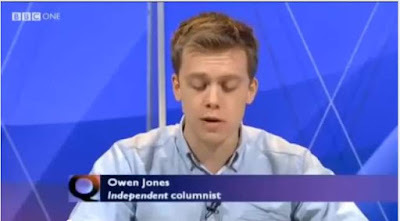 Back in May 2016, I wrote a somewhat prescient article Labour’s Election Results Give Corbyn only a Temporary Reprieve and captioned Owen Jones’picture ‘Owen Jones - the future Nick Cohen’. I have to confess that the five years I gave Jones before he crossed over to the dark side was in retrospect rather generous. It seems that 5 months were more than enough. Before people say that I was being uncharitable, let me explain. In the first years of New Labour in 1997, Nick Cohen was my favourite columnist. No one excoriated Blair and co. more forcibly or with more passion in his weekly Observer column over the question of refugees than Nick Cohen. He was a supporter of Tribune. He was no Zionist or neo-con. He condemned the introduction of Holocaust Memorial Day, rightly seeing it as a hypocritical and self-serving gesture by a racist government that demonised asylum seekers. It was 9/11 and the Iraq war which saw Cohen become a warmongering neo-con and Islamaphobe. Jones has always been a lightweight compared to Cohen but without the latter’s self-doubt. I lost confidence in Jones in the summer 2014. At a time when over 2,000 Palestinians, including 551 children, were massacred in a duck shoot by the Israelis, who launched high ordinance missiles into Gaza’s residential areas, schools, hospitals and refugee camps, the most overcrowded area in the world, Jones was more concerned about traces of anti-Semitism in Britain. It is like being concerned about the common cold during a smallpox epidemic. Nick Wrack was viciously attacked in Owen Jones' Comment article but the Guardian are refusing to allow him a right of reply! No doubt a few people made comments during Israel’s Operation Protective Edge accusing British Jews of responsibility for what was happening in Gaza. This is of course as wrong as it is understandable. When Jewish communal organisations like the Board of Deputies of British Jews openly proclaimed their support for Israel on behalf of all British Jews, is it any wonder that some people took them at their word and saw Jews as a legitimate target? [The Board of Deputies of British Jews is condoning genocide in Gaza. They don’t represent us]. 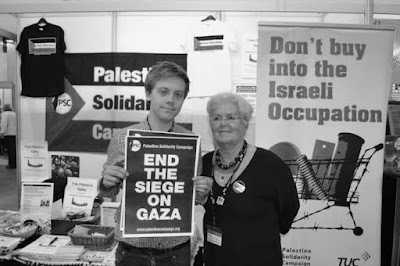 In August 2014 I did a blog post ‘Gaza Reveals the Empty and Vacuous Heart of Owen Jones’s writing about Jones’ obsession with ‘anti-Semitism’ at the height of Israel’s attack on Gaza. I followed this up with Owen Jones’ Obsession with ‘anti-Semitism’ The Lacuna in Jones’ head in March this year as the ‘anti-Semitism’ witch-hunt in the Labour Party reached its climax. What? Me a lyin', cheatin' conspiracist? It was clear that Jones, deep down, despite being articulate and personable, was shallow and superficial in everything he wrote about. When the Zionists began deploying anti-Semitism as a cynical weapon against solidarity with the Palestinians, hundreds of whom were dying or lying injured in the streets of Gaza, Jones was more interested in the by-product of the reaction to these attacks. Instead of devoting his columns to the deliberate gunning down by an Israeli war plane of four young children playing on Gaza’s beach and the self-serving lies of the Israeli military, which ludicrously classified this as a ‘tragic accident’ or the use of white phosphorous against UN schools, or exposing the last defence of the war criminal – that Gaza’s people were being used as ‘hostages’ by Hamas – all we got from Jones was an article ‘anti-Jewish hatred is rising – we must see it for what it is which began ‘anti-Semitism is a menace’ 11.8.14. It is a measure of Jones’ lack of originality that 18 months later he wrote another equally fatuous article on anti-Semitism, in the middle of the contrived media anti-Semitism campaign of the Zionists in the Labour Party, Antisemitism is a poison – the left must take leadership against it 15.3.16. It also began ‘anti-Semitism is a menace’ It is as if, having nothing new to say, Jones believed that repetition would suffice. Owen doesn't take kindly to criticism - like Progress he blocks at the drop of a hat! Many of us believed this. I do not remember anyone, Jones included, who seriously thought back in May 2015, after Ed Miliband had been defeated, that the Left and Jeremy Corbyn in particular, would win the leadership of the Labour Party. The Right at that time went on to the offensive with their talk of ‘aspiring Waitrose shoppers.’ Liz Kendall, she of the 4.5% was all the rage. The reasons for Corbyn’s victory have still not been sufficiently analysed or understood. I think it is fair to say that there was a popular revulsion at Cameron’s unexpected victory on the second lowest national vote ever. A reaction, both inside and outside the Labour Party, including a very large People’s Assembly demonstration in June 2015, that helped create the mood of hope that swept Corbyn to victory. What happened was certainly not Owen Jones or Jon Lansman’s doing. They were simply, as members of the Labour Party, better positioned to benefit from events that took them by surprise. That is all. iv. What Jones does is to caricature the debate over democracy in Momentum as being between ‘younger Momentum protagonists aligned to Lansman – ... “movementists” and cynical old Trots who know that direct, delegate democracy will benefit them . 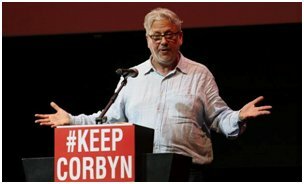 Opposition to Lansman’s OMOV is portrayed as empowering Momentum’s 21,000 members. The problem of course is that OMOV will enable Lansman and his small coterie to retain the levers of power and ensure that Momentum remains the dog that never barked in the night. About the only thing in his article that even comes close to the truth is Jones’ statement that ‘this article will be dismissed as the work of a rightwing establishment careerist in the service of a Guardian conspiracy to destroy the left.’ It seems, even when he penning his conspiracy theories, what is uppermost in Jones’ mind is how his actions will appear to others. Last year when telling us how the Left was teetering on the brink of disaster, Jones recognised that he risked being labelled a “Blairite, Tory, Establishment stooge”. If Brighton and Hove Momentum is anything to go by then meetings are not small. Our monthly meetings are 60-70 people. The meeting we held just before Brighton and Hove Labour Party AGM on July 2nd attracted around 800 people. It was so full that it overflowed back into the coffee bar and onto the street. Momentum’s candidate for Chair, which the meeting supported, Mark Sandell, was a member of AWL. 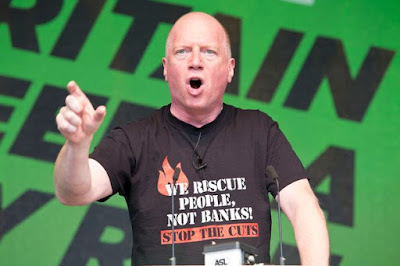 Together with the other Momentum candidates he achieved victory by a 2-1 margin at the AGM on July 2nd. What was the reaction nationally? The AGM vote was cancelled as a result of false allegations of harassment and spitting and Mark was expelled. We received no support from Momentum nationally and this attack on democracy, in Brighton and Hove and Wallasey, by McNicol and the Compliance Unit was not deemed worthy of an article by Owen Jones. Over a hundred attendees at the Brighton and Hove AGM gave written evidence to say that the meeting had been peaceful and calm. It is true that the number of participants was so great that there had to be 3 sittings in order that everyone could vote but that the fault of the old Executive which was reimposed! Karen Buckingham, who conducted the NEC Inquiry, refused even to look video evidence that proved that there was no spitting in the meeting because it showed absolutely nothing had happened. Her reasons? The Data Protection Act! The DPA doesn’t stop the Compliance Unit leaking peoples’ details when they are suspended, to the national press, but it precludes them examining evidence! Lansman’s One Member One Vote proposals are a passive form of democracy. Instead of debating in meetings and voting accordingly, you vote on a computer in isolation, distanced from others whose arguments and debates you can listen to. It atomises people. It is capitalist democracy. That is why Thatcher legislated for secret ballots for unions rather than mass meetings of workers. This not only destroyed the strength of the trade unions it also put power in the hands of trade union barons, the Jon Lansmans of their day. Lansman and his acolytes want OMOV because they are at the Centre, pulling the strings and using OMOV to ‘consult’ the membership. It confirms them in power permanently. That is why dictators from Hitler to De Gaulle to Sisi have favoured the plebiscite and referendum. Jones was extremely dishonest. Lansman was happy to work closely with Jill Mountford and the AWL when it came to removing Jackie Walker as Vice-Chair of Momentum. Without their votes, Jackie would still be Vice-Chair of Momentum. Lansman needed the AWL’s support in order to satisfy Israel’s Jewish Labour Movement. Whilst Lansman and Jones, are determined to portray the battle over democracy as one between the AWL and Lansman’s activists, Nick Cohen gives the game away in the Tory Spectator. In an article entitled Marxist-Leninists are now the Labour party’s moderates Cohen sees through the nonsense that has been written about the AWL. ‘The Alliance for Workers Liberty is... resolutely anti-Stalinist. Its origins lie in Trotskyism.... named after Max Shactman.... I will say this for the AWL, amid its totalitarian theory and regimented thinking, it has a record of honourable opposition to modern dictatorships, and has not joined the rest of the far left in supporting any secular or clerical variant of fascism as long as it is anti-Western. Naturally, the heirs to the Stalinists of the 20th century hate it. Cohen finds the long ‘ill written’ blog by Laura Murray amusing. I find it sad. Not only in the lack of originality in the title. 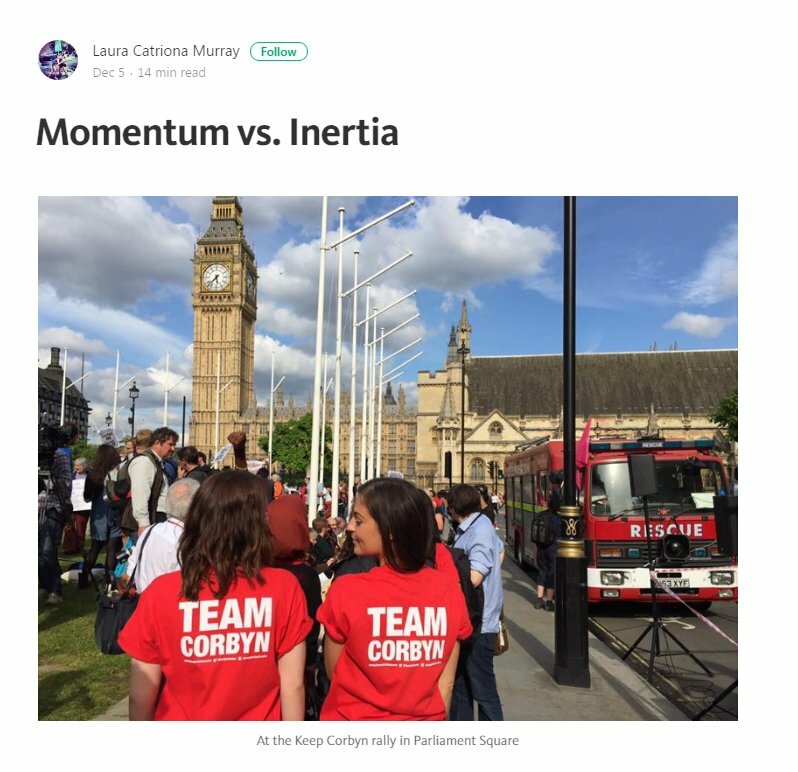 Momentum v Inertia (duh!) Far from being an innocent abroad, Murray is the daughter of Unite’s Political Chief of Staff Andrew Murray and former political advisor to Graham Morris MP. She is certainly a sore loser. Her long and badly written article is also extremely dishonest (mentioning the pro-Israel stance of AWL but ‘forgetting’ to mention that the same was true of Lansman). It contains the same caricatures as Owen Jones, regarding Trotskyist take overs and adds for good measure comments about how ‘unrepresentative local groups elect delegates’. Local groups are the heart and soul of Momentum. Without them Momentum will fade and wither on the vine. Databases and social media do not a movement make. What Murray means is that nearly all the delegates from local groups at the Momentum National Committee held last week opposed Lansman’s attempts to retain power through OMOV. The the only reason Lansman’s proposals were defeated narrowly, by one or two votes, was that the NC was stuffed with people personally appointed by Lansman. His own Left Futures web site, which is accountable to no one, consisting of no one bar Lansman, had 2 delegates to the Committee. Lansman makes Tammany Hall a model of virtue. Neither Murray nor Owen Jones mentioned that in the run up to the long delayed December NC, Lansman had repeatedly tried to cancel the meeting and to usurp all power to the Steering Committee. Only a revolt by Momentum’s branches prevented this manoeuvring. Is it the Jon Lansman who only wants a "pluralistic", democratic, grassroots organisation facilitated by a new era of digital democracy? Or the Jon Lansman who told me to my face just a year ago that Momentum groups should be banned from having social media accounts and encouraged a completely unaccountable 'helper' to take over regional Facebook pages from local Momentum activists? The idea that Lansman’s only desire was to hand power to the young idealistic movementeers is a cynical lie peddled by someone who has made a good living off the activities of others. The idea that Jones would even emulate Russell Brand, who got his hands dirty and marched with and organised with ordinary people facing eviction, is a dream too far. Jones suggestion that this is a generational battle between the youth, backed by the anything but youthful Lansman and veteran Trotskyists, is one more lie. There is a good article on this in the New Statesman by Rida Vaquas. 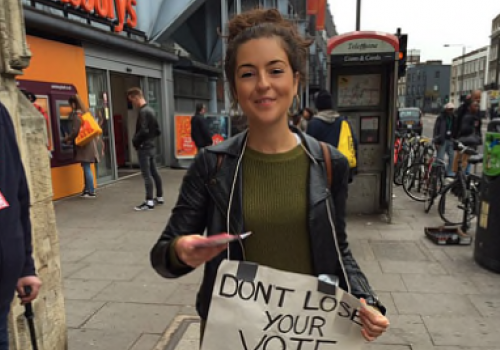 Strange as it may seem, young people disagree with each other just as vehemently as older socialists! It is no accident that Jackie Walker, a rank and file activist in Thanet who helped organise Nigel Farage’s defeat at the General Election and who has been active in opposing the fascists in Dover, genuine anti-racist work that would see Jones, Lansman and their Zionist supporters running a mile, was deposed at the instigation of the Israel lobby which welcomed to power Donald Trump and the Breitbart anti-Semites. Why can’t I get behind Corbyn, when we want the same things? Here’s why by Polly Toynbee. Jonathan Freedland has written a number of articles such as Labour and the left have an antisemitism problem, Labour and the left have an antisemitism problem and My plea to the left: treat Jews the same way you’d treat any other minority. Not for nothing has Corbyn called him ‘subliminally nasty’. There was what purported to be a review of Dave Rich’s book on ‘left anti-Semitism’ ‘The Left’s Jewish Problem: Jeremy Corbyn, Israel and Anti‑Semitism and Nick Cohen’s Why I’m becoming a Jew and why you should, too which is a rewrite of an earlier article in the Jewish Chronicle Hatred is turning me into a Jew by Nick Cohen. 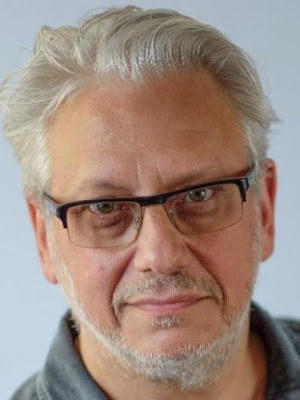 The Guardian and its hack journalist Jessica Elgot were used by Lansman in order to undermine Jackie Walker before her suspension and removal by selective leaking. 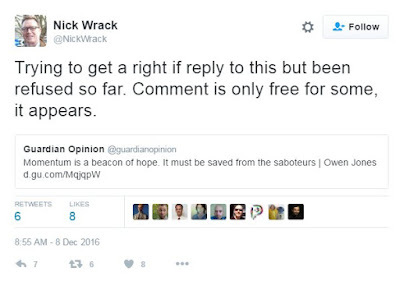 Guido Fawkes, the anti-Corbyn Tory blogger, was more than happy to join Lansman’s attacks on the Left see e.g. Trotskyist Super Faction Organising to Take Over Momentum . It was perhaps inevitable that Lansman, who personally ‘owns’ Momentum in the sense that the database and contacts are the property of a Momentum company on which there is just one director, Jon Lansman, would come into conflict with those who do want to develop Momentum into more than just a body that can be summoned into action if Corbyn is again threatened but otherwise should remain a political version of the undead. Momentum needs to develop as a living and breathing organisation not a stage army controlled by a few at the top. Momentum has now outgrown Lansman and his political fixers. It is time for a new leadership from the rank and file of Momentum, young and old. Whether they are Trotskyists, Stalinists or hopefully just socialists is irrelevant. Our goals are to see a Labour government that can be radical and reforming. That is not impossible but it won’t be easy eiter. To achieve that there has to be a decisive defeat of Labour’s right wing which includes CLP having the right to deselect their existing MP where they have one. It is fear of Momentum eventually leading the challenge to the overwhelmingly right-wing PLP which is at the back of this dispute over the internal democracy of Momentum. How it pans out will ultimately decide the fate of Jeremy Corbyn himself.